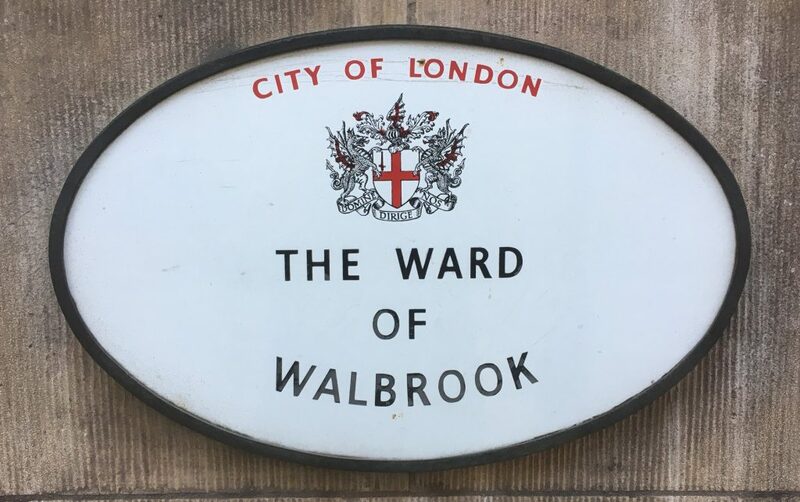 Walbrook Ward is the most central of the Wards and lies at the very heart of the City. It encompasses Mansion House, the home of the Lord Mayor of London, St Stephen Walbrook, the Bank of England, 125 Old Broad Street sometimes known as The Old Stock Exchange Tower, Grocers’ Livery Hall, the City of London Magistrates Court, the London Stone and Bank Underground Station. 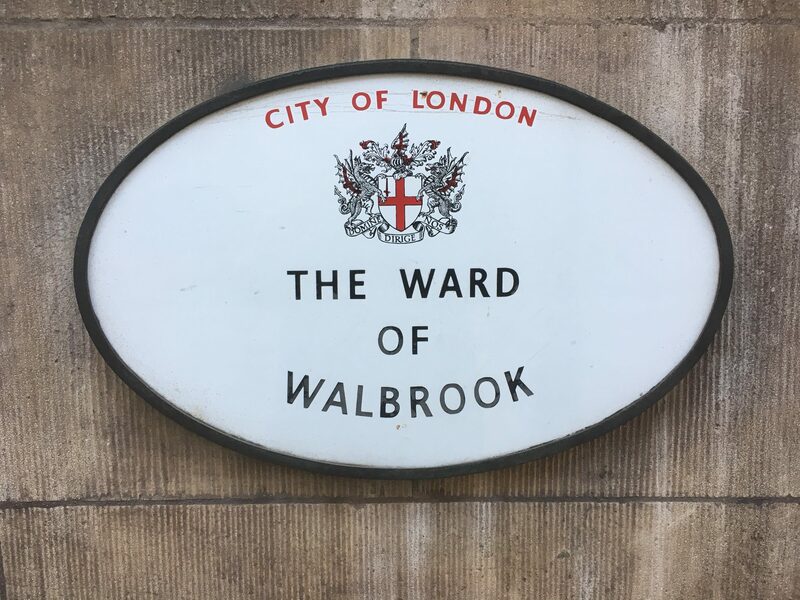 Walbrook Ward is named after the Walbrook river, now subterranean that flows north to south through the City of London. Walbrook the street follows the course of that river. The brook played a very important role in the Roman London. The stream started in what is now Finsbury and flowed through the centre of the walled city, bringing a supply of fresh water whilst carrying waste away to the River Thames. During Roman times it was also used for transport, with the limit of navigation some 200m from the Thames. It was there the Romans built a port and temple to Mithras on the west bank of the stream now situated under the new Bloomberg building. The London Mithraeum at the Bloomberg Building showcases the ancient temple, a selection of the remarkable Roman artefacts found during the recent excavations – one of the UK’s most significant archaeological sites.